Travel-Tot: RV Travel With Kids! This week, we are very excited to share an article by Andi Singer. Andi works with Indiana RV Connection to share the best RV travel tips. She almost exclusively travels by road, and enjoys visiting new cities as well as rural adventures of hiking and camping. RV travel is one of the best ways to have fun with the whole family. It is much easier than car travel because you have so much extra room, and if you plan ahead it can be a great, cost-efficient way to see the country. When you are traveling by motorhome you have a huge variety of destination options depending on your budget, the length of the trip, and your interests. If you’re traveling a week or less, you may want to explore new areas of your home state, or explore the history of your state by visiting museums and attractions you haven’t yet seen. If you are able to travel for more than a week and if you have the budget to venture farther, you may want to consider visiting some of the landmarks of America like Mt. Rushmore or the Grand Canyon. With older children who will be aware of the trip, you can consider destinations that are specifically catered to their interests. Say your 5-year-old son is a race car fanatic-- consider including to the Indianapolis Motor Speedway in Indiana in your trip and watch his eyes light up at the dozens of race cars on display at their museum. There are American Girl Places (which include shopping, dining, a salon, and a photo studio all American Girl Doll-themed) in many big cities around the U.S. including Chicago, New York, and Los Angeles. You don’t have to plan your whole trip around a certain child-friendly destination, but you can research kid-centered attractions local to where you plan on traveling. Rural destinations and camping are also hugely popular for RV travelers. If you are renting an RV for the first time, consider heading to a state park for a few days-- most of them have campgrounds with electric hook ups for $30 a night or less. Camping is a great learning experience for kids. They get to learn how to cook outdoors, visit with nature, fish, and overall it is a very active choice. 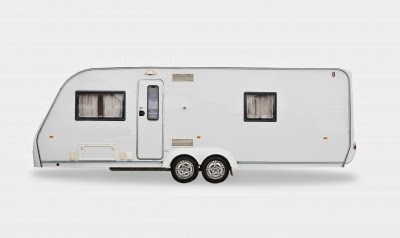 If you are traveling with younger children, bringing a trailer or motorhome can make camping a bit easier. You can camp in tents if you want or just sleep in the trailer, and you have doors that lock so if you are sleeping indoors you don’t have to worry about a youngster wandering off in the night. If you have a variety of ages traveling with you, consider letting the older kids pitch a tent a camp outside, while you sleep inside with your infant or toddler. This will allow more independence for the older children, but you will still get to sleep in a real bed, and you will not have to worry about hazards to the younger ones. RV travel is usually a lot easier than road trip by car because you have a lot more room and the ability to move around more. It’s important to make sure the kids aren’t running wild because it can pose a distraction to the driver, but you can play games involving standing or moving. Tablets have become a popular “toy” for children recently, and with RV travel you can recharge your electronics whenever you need. If you are not keen on your kids playing video games for the duration of the trip, traveling in a spacious vehicle is great because you’re not limited in your entertainment options. There are tons of compact travel games including questions and answers games like “Would You Rather”, or educational games like Brain Quest. With an RV, however, you can also play traditional board games like Candy Land, Scrabble (or Scrabble Jr.), or Trouble. You can also do easy low-mess arts and crafts with your kids, or make matching or sorting games with tupperware containers and lids. With an RV you have the freedom to sit at a table, or play on the floor or bed. Travel-Tot brings to light the importance of keeping your children safe on vacation, as well as the hazards that vacationing can bring. Safety-wise, RV travel is great because you always have your home base no matter where you travel. You don’t have to switch hotel rooms and re-toddler-proof every other day. If you are renting a vehicle, make sure everything is safe before you head out-- securing cabinets, electrical cords, and sanitizing everything if it doesn’t look immaculate. You also have the security of having locked doors and a roof over your head for enriching activities like camping, which may otherwise seem intimidating when you’re traveling with young ones. RV travel offers a unique opportunity for families to travel cross-country without worry.